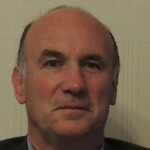 Stephen Murphy joined iSixSigma 4 years, 7 months ago. Owner at Steve Murphy Continuous Improvement offering Lean and SIx SIgma skills to Scottish manufacturing. I represent Datalyzer Software in the UK.